My band Mollusk played our first official show on Saturday. Still completely unprepared the day of, Marc (ukulele) came over before the show for lunch and to rehearse a bit. I decided to make some sammiches. 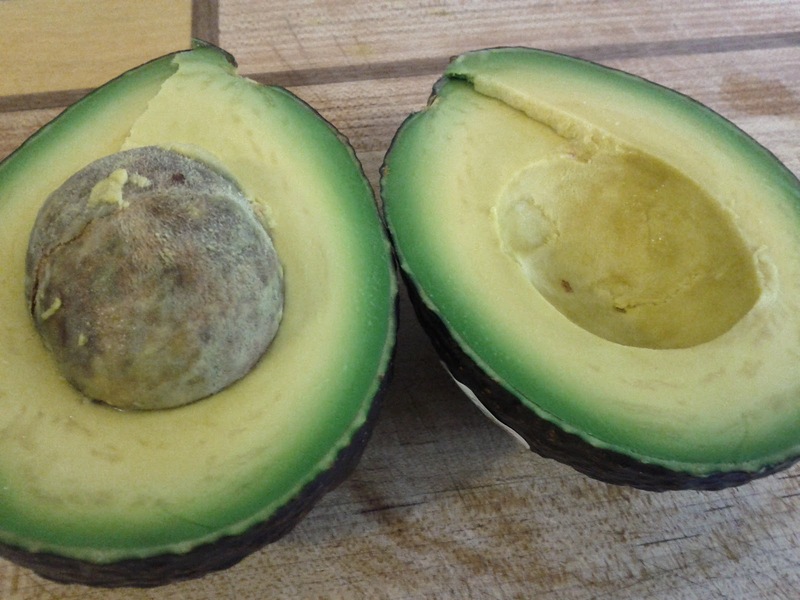 I've never seen avocados with such a colour gradient, from dark green to bright yellow. Are these regular Hass avocados? Whatever they are, they were perfectly ripe, delicious and very creamy. 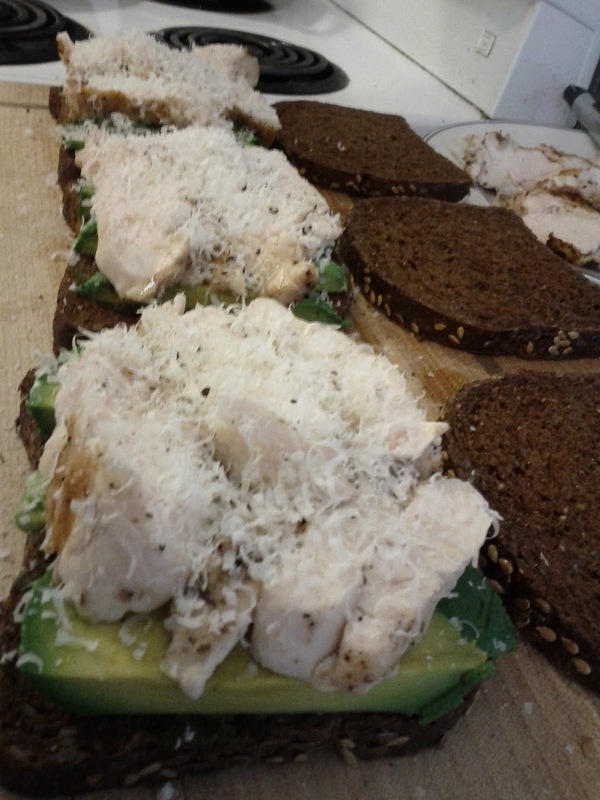 I sliced them up and put them on a slice of flax seed bread with some grilled chicken breast and parmesan. Grilled, these had a crisp exterior with a creamy mouth feel inside. I like replacing mayonnaise with healthy avocado for this reason. The parmesan added a touch of saltiness and great flavour to go with the chicken. I still contend my butcher has the best chicken out there. It has an extra chicken flavour that you just don't find in the cuts at supermarkets. I'll be happy to eat your favourite chicken if you disagree. The only thing that would make this sammich better is pesto. Really gotta make some more of that. Mayhaps cilantro pesto this time.